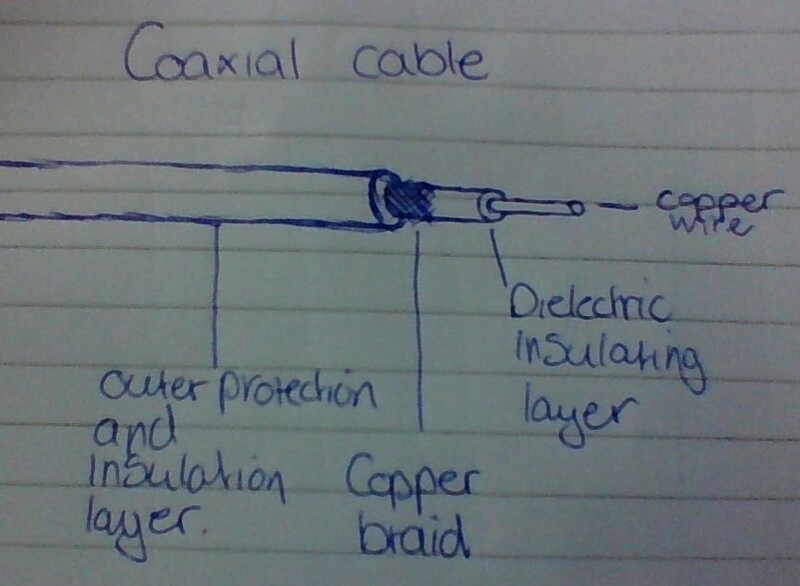 There are a number of different types of data transmission cables. Among them are: coaxial cables, twisted pairs, and optical fibres. I will give an in-depth description and comparison for each of them. This type of cable is comprised of four layers. The innermost, is a copper wire which is the conductor, and carries the signal. This is then covered by a dielectric insulating layer, which has a copper braid wrapped around it, with a further outer protection and insulation layer on the outside of that. The copper braid acts as a screen, which greatly reduces leakage in and out of the cable.